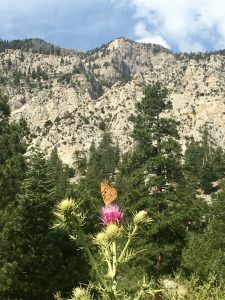 The Spring Mountains rise up out of the Mojave Desert to provide a forested, spring-fed haven for wildlife and an alpine retreat for visitors. 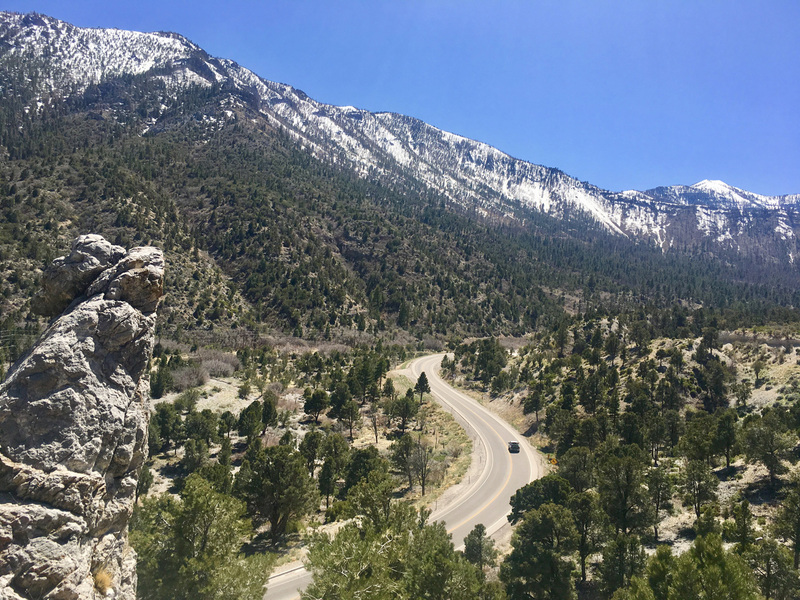 From a cool escape in the summer to a snowy wonderland in the winter, the Spring Mountains offer a distinct change in seasons not normally found in the Mojave Desert. Fall colors and spring wildflowers delight hikers who visit during these quieter seasons. We host public programs through out the year, and local businesses specialize in seasonal offerings. 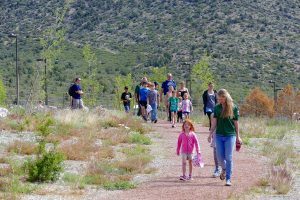 Spreading over 90 acres, the Spring Mountains Visitor Gateway offers a Visitor Center, Education Building, group picnic areas, two amphitheaters, trailheads, and expansive areas with benches to take in the views of Kyle Canyon and Charleston Peak. The Seven Stones Plaza at the Gateway honors the 7 Paiute tribes who consider this a sacred Nuwuvi creation place. Also found at the Gateway is the Silent Heroes of the Cold War Memorial, the nation's first national Cold War memorial. 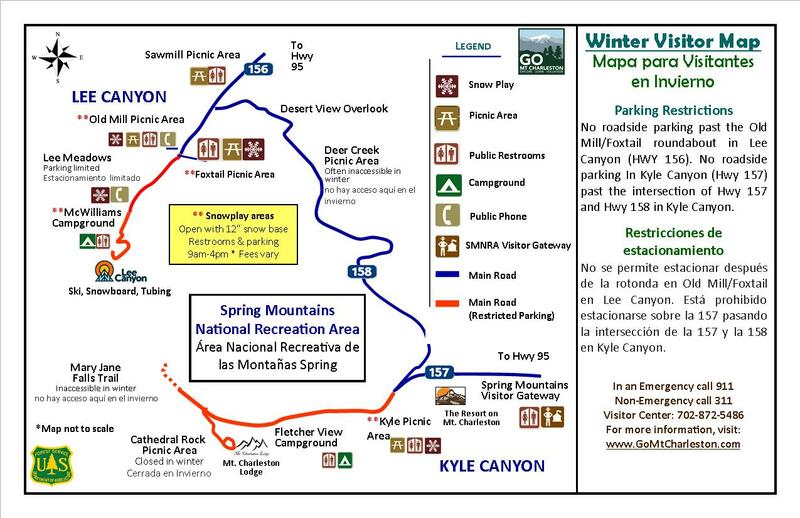 The Spring Mountains National Recreation Area offers many trails throughout the area, from the wheelchair-accessible Acastus Trail to the breathtaking south and north routes to Southern Nevada's most prominent peak, the 11,916ft Charleston Peak. With many picnic areas to choose from, visitors can have plan ahead for a large group gathering or head up for a last-minute brunch. 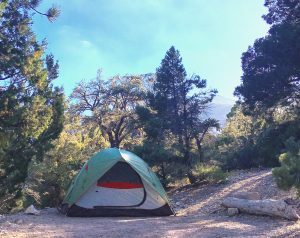 Whether you enjoy laying out under the stars with no one around or prefer to pull up to your site and have a restroom nearby, the Spring Mountains National Recreation Area has a camping option for you. 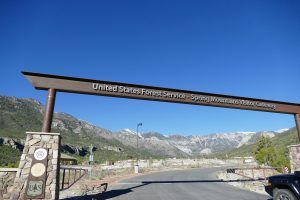 The drive through the Spring Mountains National Recreation Area is composed of multiple scenic byways. Even if you don't have time (or energy) for a hike, the drive from Las Vegas and back can be traveled in under three hours even if you stop for photos... which you'll definitely want to do! Many of our trails offer loop opportunities that include single tracks and great views. Remember that mountain biking is not allowed in wilderness areas or other trails as posted. Watch out for hikers and horses, using trail etiquette to announce your presence and passing. Explore the limestone crags of the Spring Mountains. Many of these cliffs are also home to unique plants that can live only on these vertical faces, so please share the route and be careful not to harm them. Thinking of taking your four-wheel-drive or OHV out into the wild? 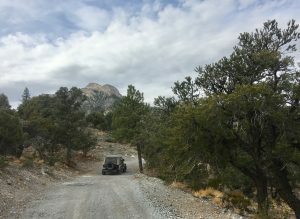 There are many trails in the Spring Mountains for off-roading adventures. Click here and scroll down to "Spring Mountains National Recreation Area" for downloadable OHV maps. visit, and the Forest Service asks that you feed livestock weed-free feed 48 hours before entering the Spring Mountains. The Spring Mountains are considered a "sky island" which creates an oasis environment for cooler weather, high elevation species to thrive in the middle of the Mojave Desert. Over 25 endemic plant and animal species are found here, meaning they are not found anywhere else on the planet! Trees vary in elevation and some turn vibrant colors in the fall. Wildflowers can be spotted from late spring through fall. Please help keep wildlife “wild” by not approaching or feeding them. Always secure your food and keep a clean camp. The US Forest Service's website has additional information. Have a safe and wonderful visit!